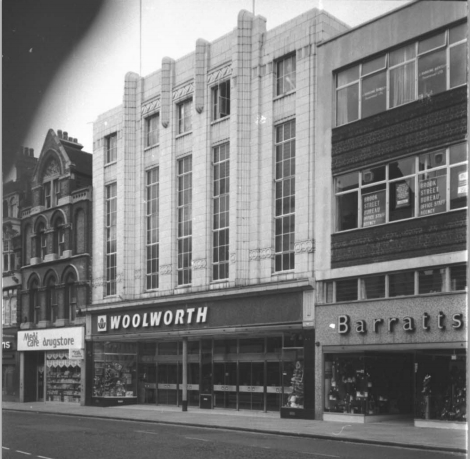 Woolworths opened in Slough, Berkshire in 1927, on the busy and bustling High Street. 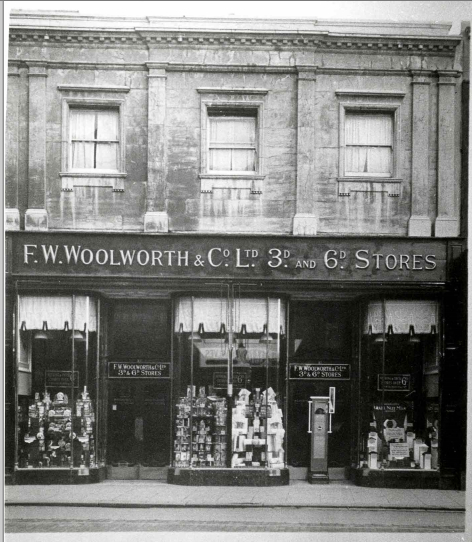 You can see the store in this 1930s photo, with its 3d and 6d fascia and Art Deco facade. 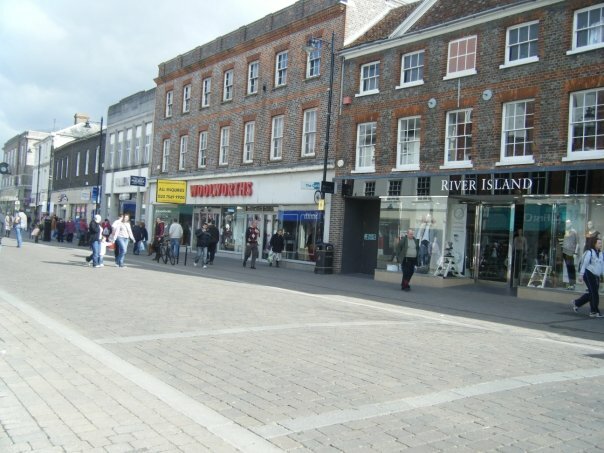 Woolworths is on the far left, a few doors down from the Eagle pub, which was recently River Island and then Select (now vacant). Boots is on the far right, still there today. Here is the store twenty years later, you can see it in the background with the canopies. 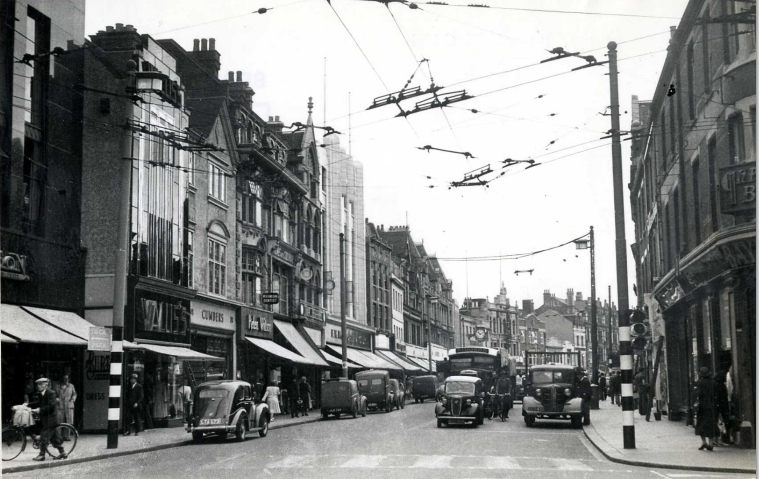 This photo shows the first EVER zebra crossing in the UK, when it was opened in 1951 – on Slough High Street. 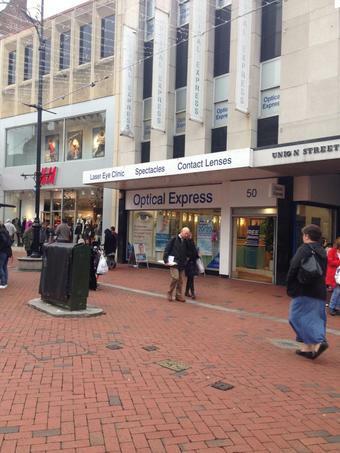 It’s now just the pavement in between Boots and the Queensmere shopping centre. They should put a commemorative plaque here. 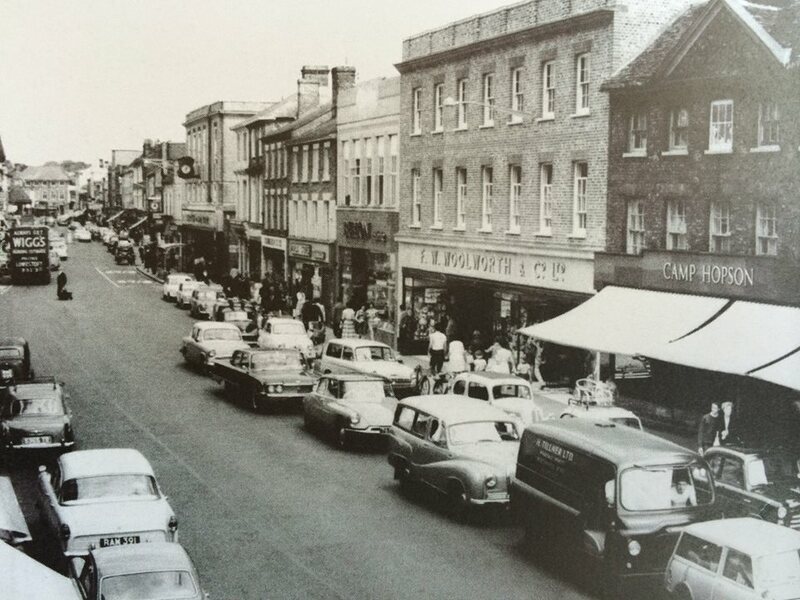 This 1950s video actually shows the Woolworths store in the background. 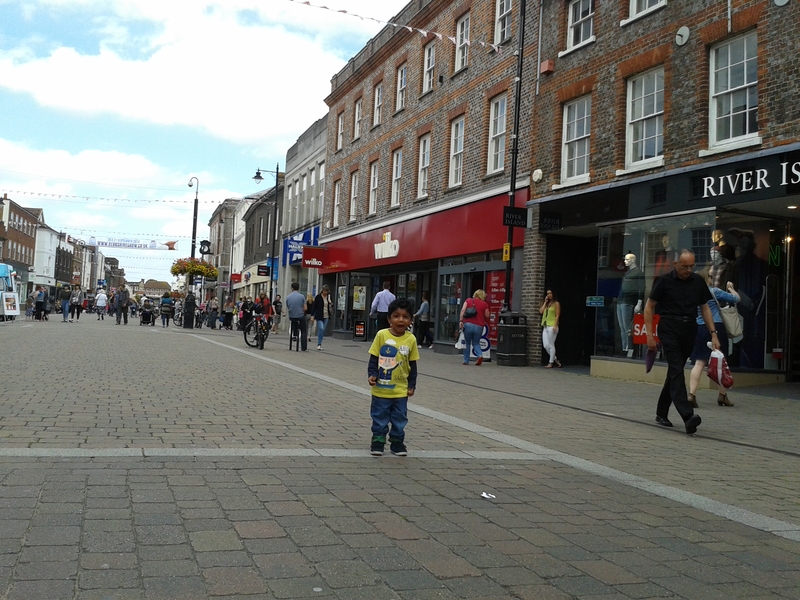 The road was busy with vehicles and there was a traffic light pedestrian crossing directly in front of Woolworths. 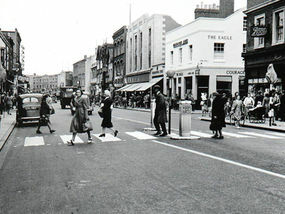 The zebra crossing can be seen in the distance. 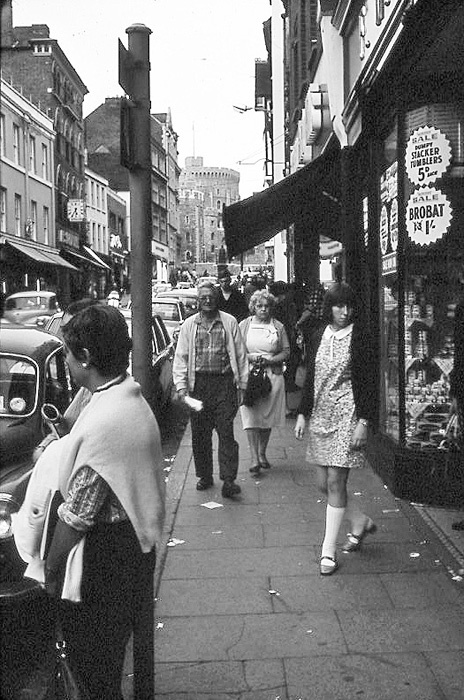 In 1972 Lynne Turnbull worked at the store after leaving school. She says it was the “best job I ever had. Pic n mix and the great slabs of cake and broken biscuits…” A few years later in 1975, Lynda Woodhouse-Hall got her “first job after I left school. 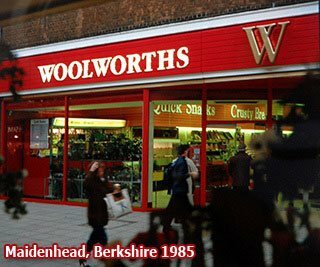 I was the wonder of Woolworths. 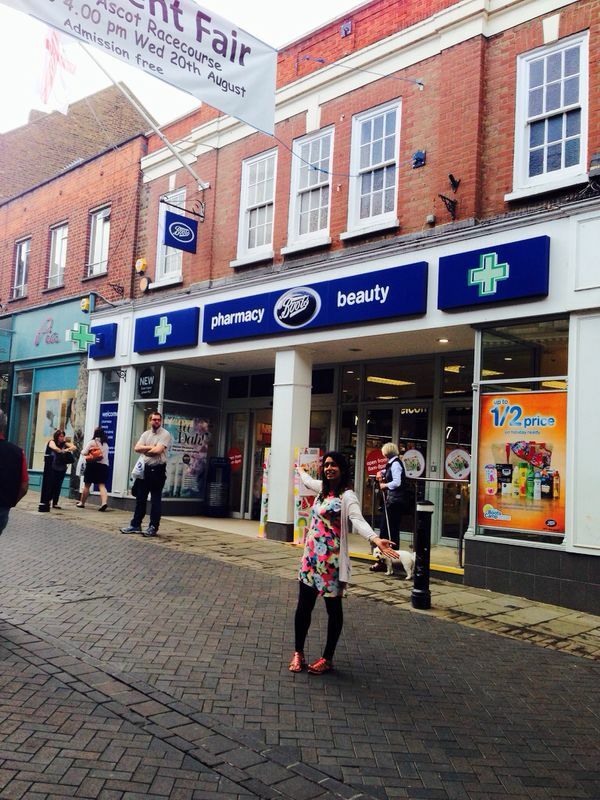 My mum also worked there, and my boyfriend worked next door in Fosters”. Tracey Caley worked on pic & mix “I ate more than I sold, and I had to wear a silly little hat!” and Carol Blunt worked on the make-up counter as a Saturday girl and has lots of happy memories. 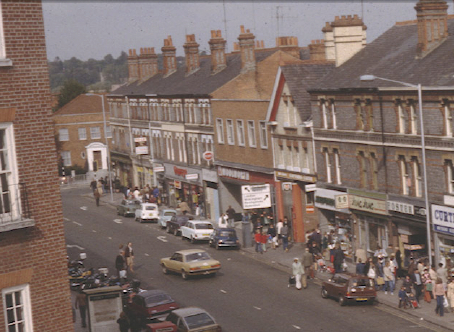 In 1982 the store had a further makeover – this photo shows notices in the windows announcing that the store would be closing in February for two weeks for alterations. Also in this colour photo, we can see the facade of the upper floors was actually blue, which was quite unusual. 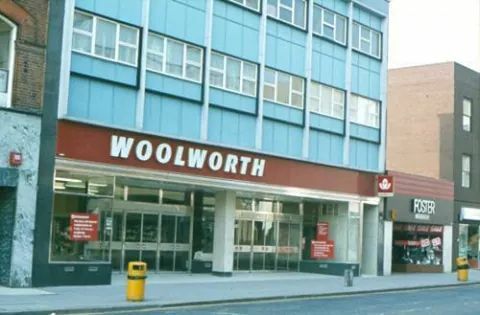 A year later in 1984, Woolworths on the High Street closed down. 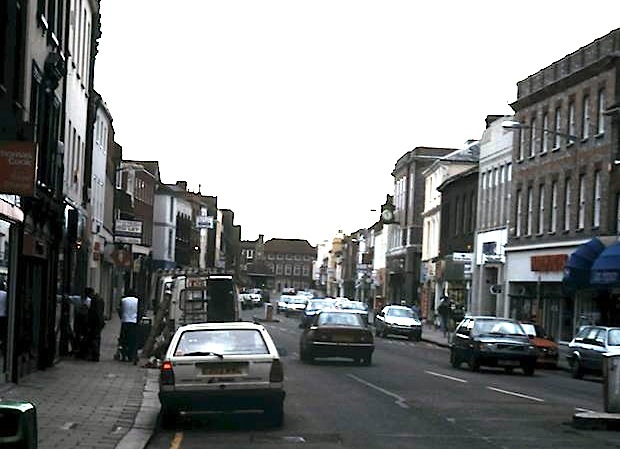 The unit was split into two – the left side became Currys/Dixons and the right side was an independent Home store. Both stores closed in the late 2000s, and then a company bought the building to refurbish it as it had fallen into poor condition. 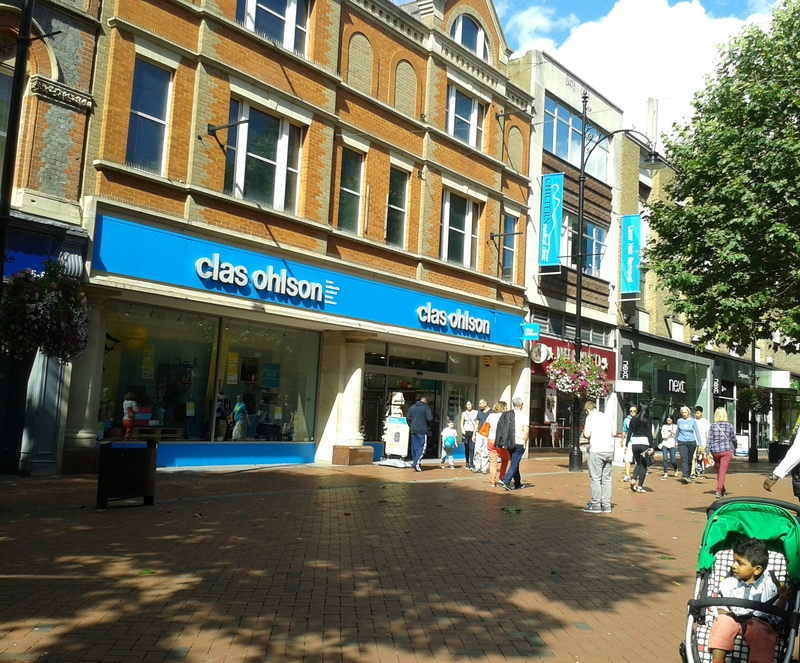 After the refurbishment it was let out to Poundland and JD Sports in Autumn 2010, and they are both successfully trading today. 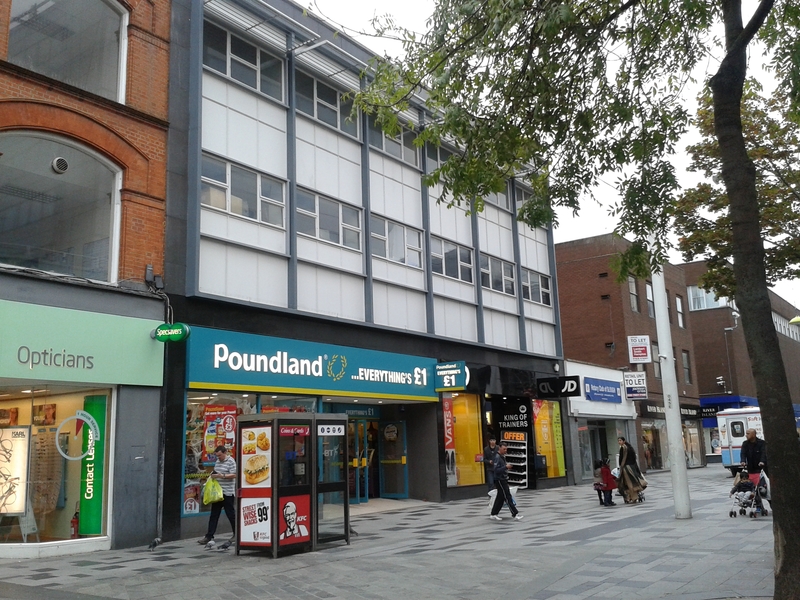 I went into the Poundland in Slough to see if I could find any clues of it having been a Woolworths. All I could find was possibly these stockroom doors – they look quite old especially around the windows, so these could be the doors from when it was a Woolworths. 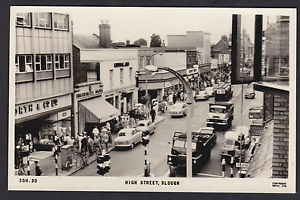 Slough did not have a Woolworths for a few years. 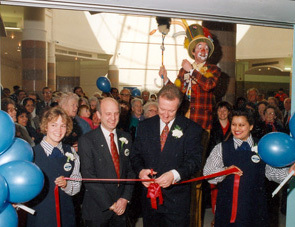 Then they returned in the 1990s, as Store 1173. 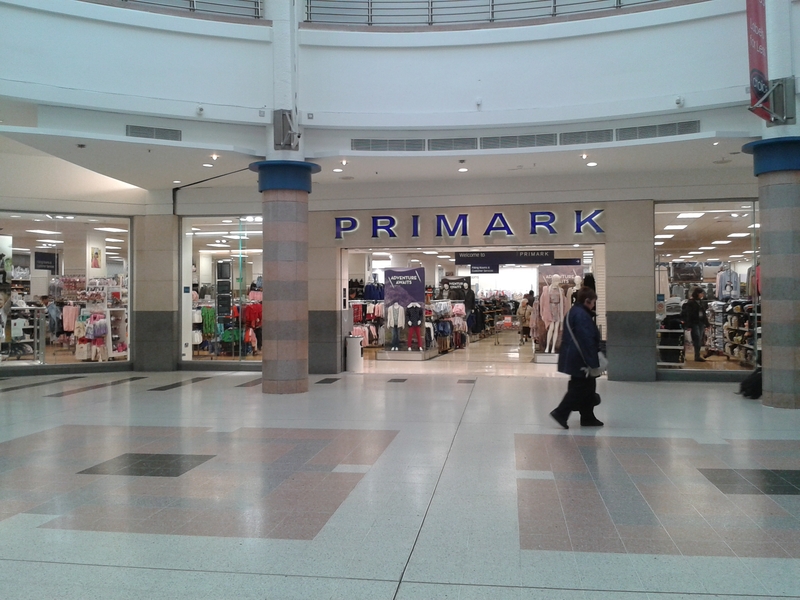 Today Primark is in the old Woolworths unit in the Observatory shopping centre. 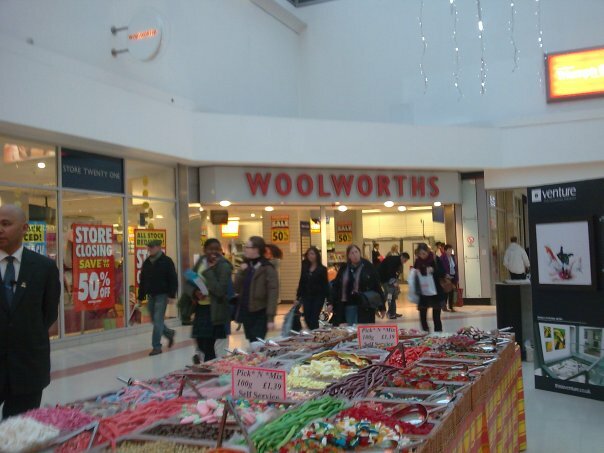 Nine years after Woolworths had opened in the Observatory shopping centre, they moved, with another new store number of 1243. 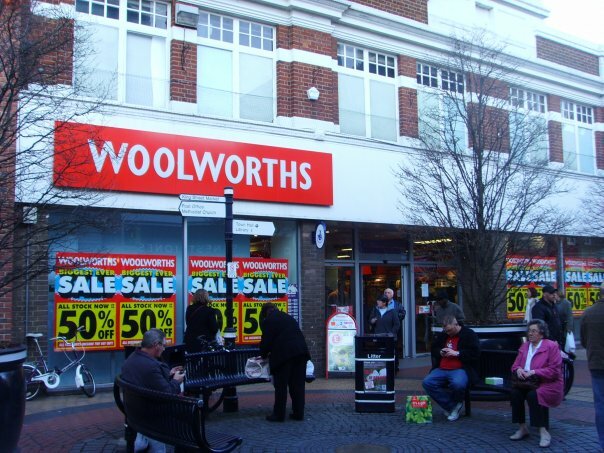 In 2000 Woolworths moved to the Queensmere Shopping Centre, taking over the C&A site when they closed down. It was quite a large store with an upstairs floor too. 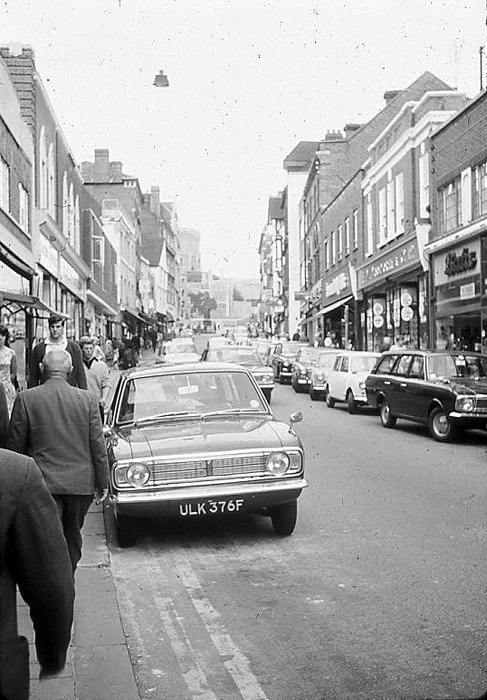 It had escalators to the right, and upstairs was Ladybird clothing and Home. The store lasted until the end, with its last day of trading being 2nd January 2009. 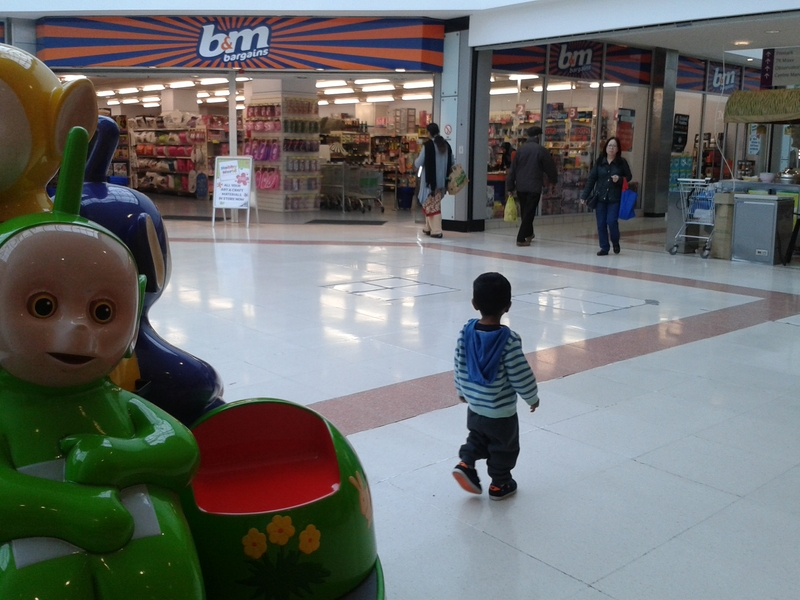 Today it is B&M Bargains, downstairs floor only, a cluttered store selling a mis-match of home goods, furniture, food and toys – remind you of anywhere? 😉 The escalators/stairs are covered by a wall of shelving, currently toys. 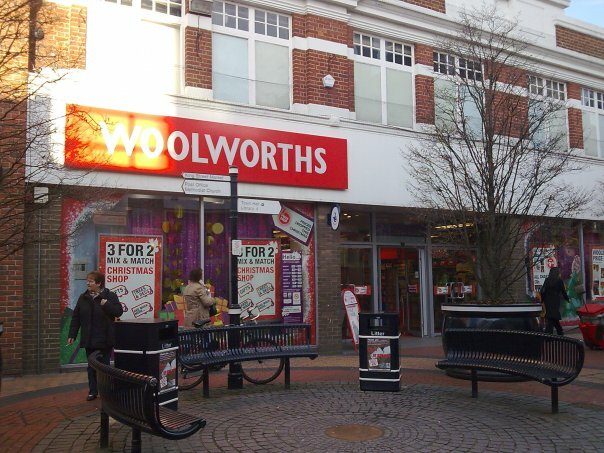 So there you have it, a history of three Woolworths in Slough. 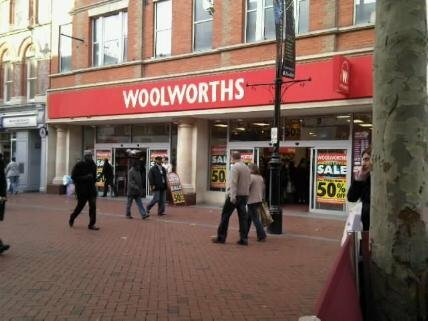 If you are ever shopping here, well, now you know which ones were the Woolworths stores. 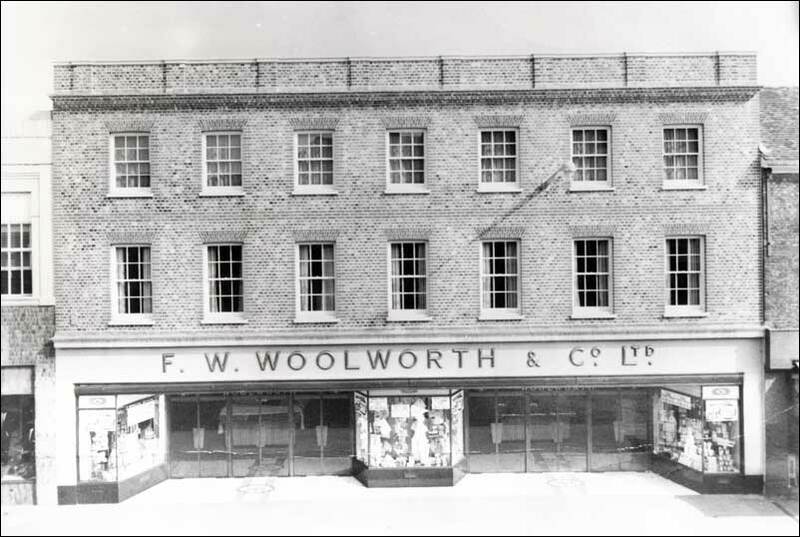 Woolworths opened in the Berkshire town of Maidenhead in 1925, on the High Street. 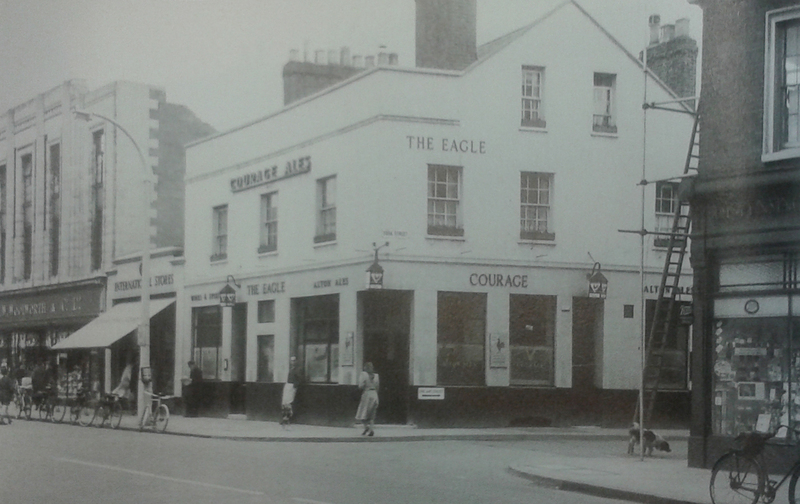 It was next to Barclays Bank (who are still there today, albeit in a more modern building). 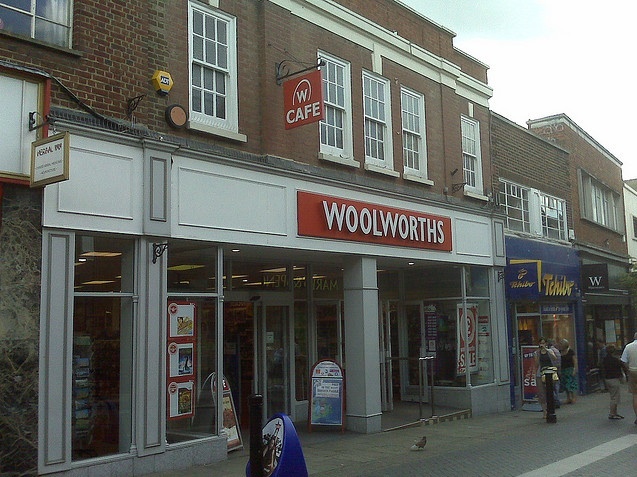 Maidenhead was one of the first stores called ‘Woolworths’ with a ‘s’, having been Woolworth before then. 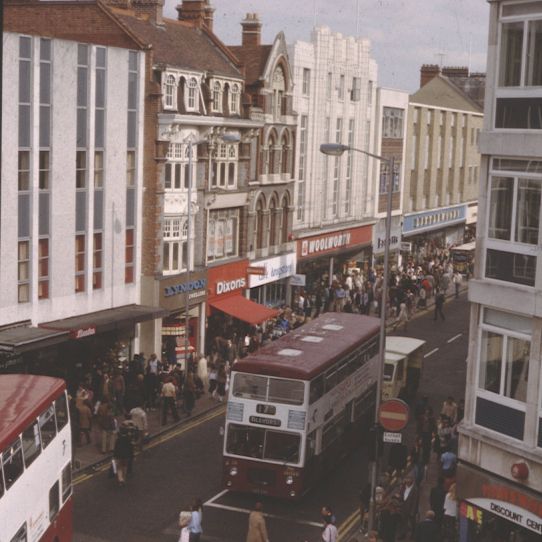 This happened in 1985 when it was chosen to be a ‘Cornerstone’ Store along with Orpington and Bedford, where they launched the Ladybird clothing range. 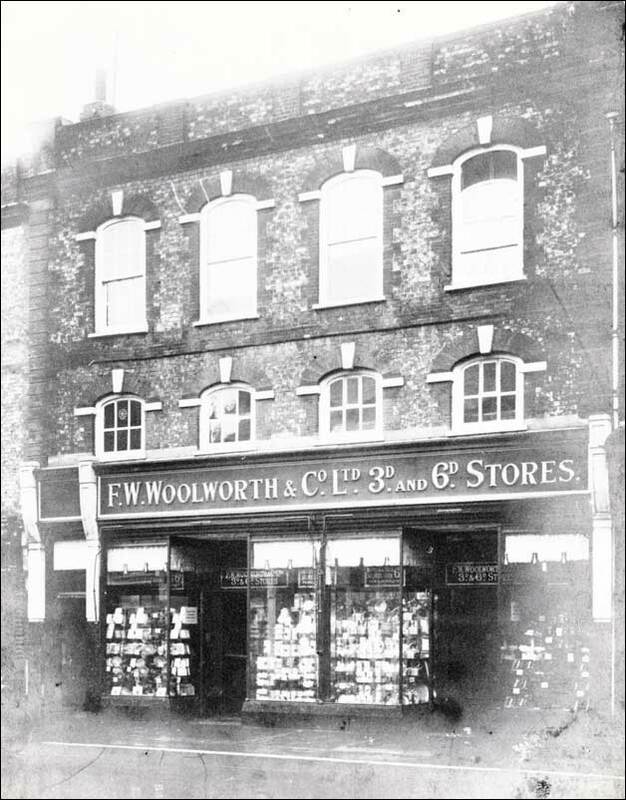 The 6 cornerstones were DIY, Leisure and Play, Homewares, General Convenience, Clothing and Daily Provisions. In this photo, you can see ‘Quick Snacks’ and ‘Crusty Bread’ through the window. Below are two pictures that I took myself, as I used to work around the corner. First is before the closure announcement, second is when the store was closing down. 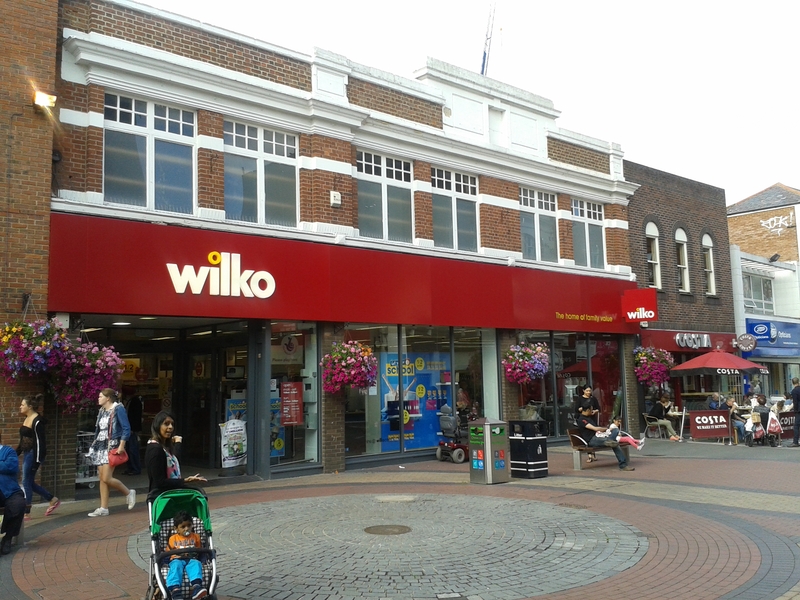 Today you will find Wilkos in its place, but look up and you’ll see the original Woolworths architecture.